More than likely if you've been on a Royal Caribbean cruise to the Caribbean you have run across an alcoholic drink that is famous among Royal Caribbean fans called the Labadoozie. Labadoozie's have reached cult-like status for being a large, fruity alcohol drink that is just perfect to have while on a beach. So what is a labadoozie? Basically, it's a frozen drink that mixes a lot of citrus juice, such as orange and pineapple, with a lot of rum. Ice plus juice plus rum equals the perfect cold drink for a beach day at Labadee, Royal Caribbean's private island. Not only is the drink tasty, it's also large. Royal Caribbean staff will walk around Labadee for most of the day selling this iconic drink in plastic souvenir sports bottles. By the middle of the afternoon, you will see tons of labadoozie cups everywhere with many passengers opting to indulge with this drink for a way to forget their problems at home. It's one of those drinks that seems to satisfy all kinds of drinkers. While the labadooze is famous for its generous serving of rum, you can order the drinks virgin (with no alcohol) so that younger people in your party can have them or if someone just would prefer not to have any booze. 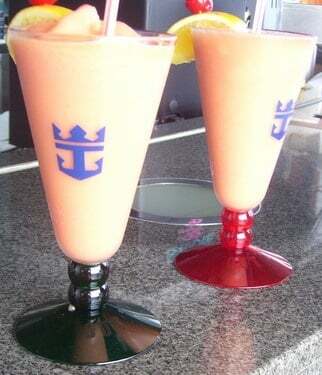 Because Labadoozies are so well known across the fleet and because of their popularity, the good news is you can usually order a labadoozie on your cruise ship even if you aren't in labadee. 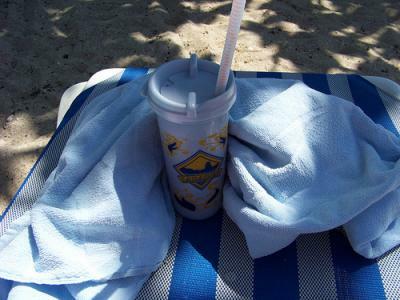 It wont be in the sports drink cup, but it can hit the spot for the days at sea you wish you were still at Labadee for. The two most common questions about labadoozies are what's in it and how do I make it at home? Fret no more, we have answers to both.